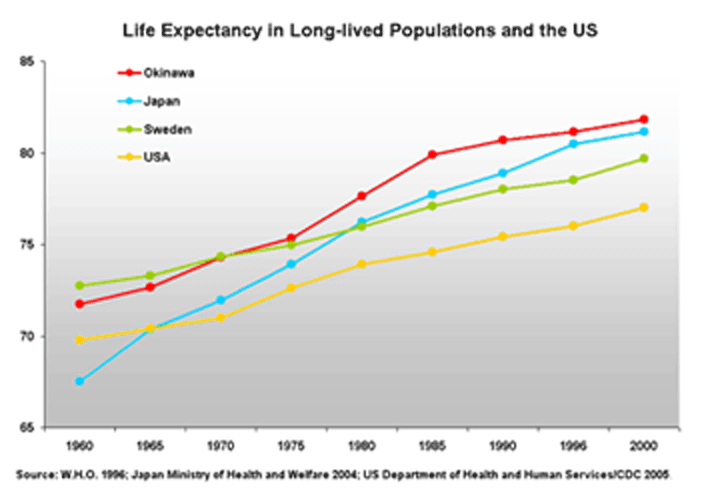 …secrets that have kept Okinawan’s elderly protected from progressive mental degeneration and mental conditions such as dementia and Alzheimer’s that are so unfortunately common among elderly worldwide. And thus started my collaboration with Kassie to make Okinawan’s secrets available to ALL Americans. 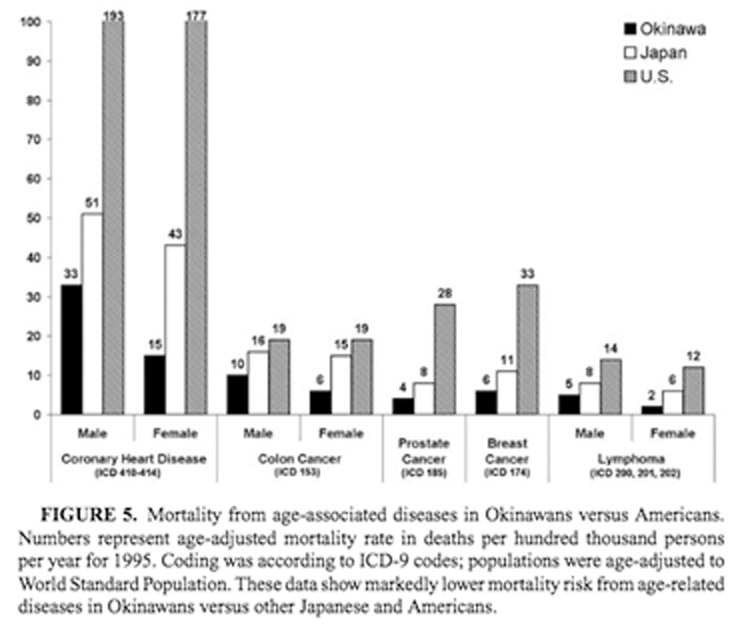 The pearls of knowledge she shared with me left me completely incredulous, and I was astounded at how such apparently minor differences in how Okinawans live can have such profound effects on health. I’m talking about a completely paradigm shift here – forget everything you think you know about health! 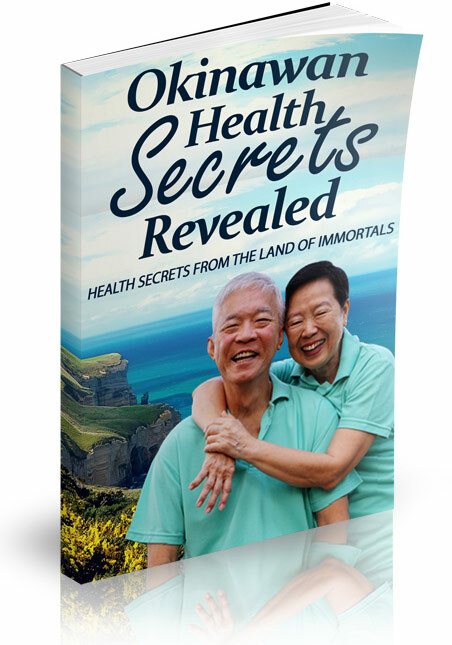 In “Okinawan Health Secrets Revealed”, I reveal everything Kassie has taught me about this island’s inhabitants’ incredible health, and you will understand how Okinawa more than deserves the Chinese name - “Land of Immortals”. Forget all you know about weight loss and ‘healthy’ diets – you will learn exactly how Okinawans eat – hint: you do NOT have to starve yourself or lay off the carbs! I honestly believe that the knowledge in this book is a must to every Western adult wanting to take charge of his or her health. Not for $77... Not even for $50. I want you to have this for the bargain-basement price for just $19.99! This guide, just like everything you’ve seen so far, is STILL covered by my 60-day money back guarantee. There’s absolutely no risk for you. And Finally Take Charge of Your Health For Good! No thanks. I don’t need to learn how to boost and protect my health. I’ll continue using medications to deal with my ailments and be satisfied with masking the symptoms. I completely understand I’ll never have a chance to buy this again at this price, and I’m fine with that. I acknowledge that I waive my right to this special one-time offer forever. That’s more than a 70% discount off of the normal price!